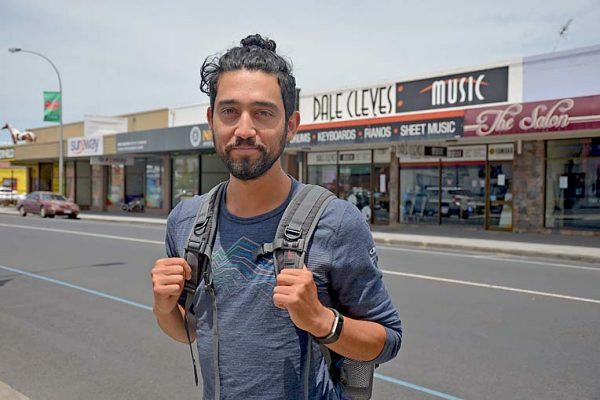 CONSERVATION MISSION: Adelaide resident Tristan O’Brien made his way through Mount Gambier during his 1900 Footprints walk from Adelaide to Hobart to raise money and awareness for conservation in Australia. WALKING 1km for every threatened species in Australia, Adelaide resident Tristan O’Brien is on a mission to raise awareness and money for conservation across the country. Travelling from Adelaide to Hobart, totalling 1900km, the determined hiker last week made his way through the Blue Lake city on his way to Heywood to complete the last leg of his journey.